On October 31st, a small but enthusiastic audience of several dozen people attended the Friday Lunch Talk of the School of Natural Sciences at Hampshire College by Mike Fortun. The Institute for Science & Interdisciplinary Studies and the School of Natural Sciences sponsored this illustrated talk on the intricacies of bio-genomic Big Data. "In the era of gene/environment interaction studies… How can we develop the nearly impossible sciences we will need?" About Professor Fortun Doctor Fortun is an Associate Professor of Science Technology and Society at Rensselaer Polytechnic Institute, as well as a Hampshire College alumnus and former faculty member. Mike is the Founding Fellow of the Institute and coauthored the book Muddling Through with Professor Herb Bernstein based on its theory and practice. In addition to four years of editing the Cultural Anthropology journal of the American Anthropology Association, Mike is an expert in genomics whose most recent book, Promising Genomics, discusses the rise and fall of Iceland's deCODE Genetics. About the Presentation The talk was a masterful presentation of material from several different eras and many fields. It brilliantly elucidated the nascent ethical practices meant to inculcate a particular relationship between the researcher and a complex, volatile set of data and research practices. These practices can be considered a guide to the "care of the data," in a manner similar to what Foucault named the "care of the self" in regard to practices that the ethical subjects of sexuality in an earlier time used to shape themselves and their behavior. The X in our title harkens back to its use in each chapter name of Fortun's Promising Genomics, where it indicated both the chiasma of genetic crossover and the dual valence of important terms and issues for the discussions of ethics and morality in pursuit of microbiological genetics as a social enterprise. Since its publication the genomic sciences and society --as well as genes & environment-- have become even more entangled; the talk presented complex relations to questions of whether race, ethnicity, or some other practiced category can confer meaning upon the phenomena of childhood asthma, its apparent rapid rise, and its distribution in our population(s). 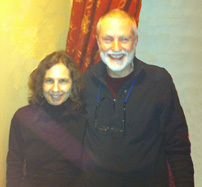 "Science, Spirituality and Political Activism: Couples Sharing their Journeys"
On the evening of May 9, 2013 in the center of Amherst, the Institute co-sponsored an inspiring talk and discussion led by two fascinating activists, Susan and René Theberge. She is professor of Sociology at Keene state University in New Hampshire. He is recently retired from medical and non-profit management, and now dedicates himself to nature photography in service of environmental causes. This event was open to the public and free of charge; an enthusiastic crowd of over thirty participants came and joined the conversation, then partook of light refreshments after the presentation/discussion, in the Social Hall of the Jewish Community of Amherst, 742 Main Street. With co-sponsorship by the JCA's Spirituality and Social Change Interfaith Study Group this most informative and pertinent event began a new series of discussions. The first such event was part of ISIS Institute seminars dedicated to the memory of Seymour Melman. (see below, for the conversation with the husband and wife team of Kehler & Corner). The Theberges have been long time organizers in the peace and social justice movements of the last 40 years including work with many prominent non-profit organizations, with labor unions and in communities on-the-ground. Susan is currently an Education professor at Keene State College and is active in the Buddhist Peace Fellowship, Fund Our Communities Not War, the Occupy movement and the Alliance for Peace and Justice. René is also active in Buddhist Peace Fellowship; he was the Administrative Director of the Center for Contemplative Mind in Society for five years and has served as the Associate Director of the Center for Mindfulness, UMass Medical School. Together they make a fascinating team and great discussion leaders, whose deeply committed actions and thoughts were expressed in a laid-back, open engaging style. For many this proved to be a wonderful and inspiring evening. 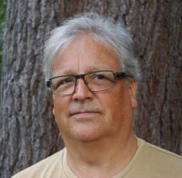 "Anthropology & Volatility: deCODE Genetics and Other Icelandic Scandals"
Prof. Mike Fortun, the original Founding Fellow of Institute for Science & Interdisciplinary Studies has returned to Hampshire to present the keynote speech of a five college anthropology conference on May 1. An excellent speaker, his talk was both entertaining & engaging, one which we were proud to cosponsor. "This presentation used Iceland's deCODE Genetics company as an index of developments in the science and political economy of genomics, and the international political economy more broadly, from the late 1990s to the present. It begins with deCODE's incorporation in 1996, overwhelmingly dependent on a financial promise from primary shareholder Hoffmann-LaRoche for operating capital, and dependent as well on a political alliance that granted deCODE access to the medical records of the Icelandic nation. It follows the resistance of Icelandic physicians and citizens to this "Health Sector Database" deCODE during what are now called the "grey market" years, when deCODE, a Luxembourg shell corporation, and Icelandic banks together used inflated stock prices to raise $69 million, mostly from hundreds of Icelanders fed promises of national greatness and profit. And it continues through deCODE's lucrative 2001 initial public offering (IPO) on NASDAQ, fueled by the speculations of on-line investors in a volatile economy, through years of steadily increasing scientific success and steadily decreasing fiscal solvency, until its bankruptcy in 2009. Along the way I discussed how changes in U.S. securities law fueled the volatility that inflated deCODE's scientific and economic promise to its shareholders, how the political alliance behind deCODE became implicated in the collapse of the entire Icelandic economy, and how Keiko the killer whale can help us make sense of it all." A graduate of Hampshire College (in May '82), Mike Fortun is an associate professor in the Department of Science and Technology Studies at Rensselaer Polytechnic Institute, Troy, New York, USA. He was co-editor (with his wife, Prof. Kim Fortun) of Cultural Anthropology, the journal of the Society for Cultural Anthropology of the American Anthropological Association. A historian of the life sciences, his current research focuses on the contemporary science, culture, and political economy of genomics. His work in the life sciences has covered the policy, scientific, and social history of the Human Genome Project in the U.S., the history of biotechnology, and the growth of commercial genomics and bioinformatics in the speculative economies of the 1990s. 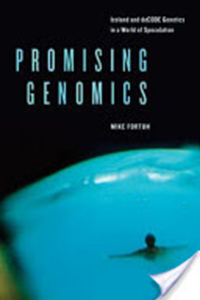 Fortun is the author of "Promising Genomics: Iceland and DeCODE Genetics in a World of Speculation" published by University of California Press, and co-author with Institute president Herb Bernstein of "Muddling Through: Pursuing Science and Truths in the Twenty-first Century." Professor Tom Roeper of the University of Massachusetts has been a long time ISIS Institute collaborator, from our earliest day almost two decades ago. He was the convenor of a year-long series of seminars on Cognitive Sciences and the morality of modern science and technology, put on before The Institute was incorporated under joint auspices with the UMass's Institute for Advanced Studies in the Humanities. MIT press has now publised Roeper's book "Prism of Grammar: How Child Language Illuminates Humanism," which makes clear connections between values of human dignity and the research he and colleagues have done in language acquisition. The Columbia Teacher's College Record, widely regarded as the leading Education Journal for 100 years has an excellent review which you may read on the Amazon.com page for this new book. "The Human Cost of War and Chemical Weapons: Focus on Iran"
Over sixty people crowded the East Lecture Hall of Hampshire college for an ISIS Institute co-sponsored illustrated talk, exhibition, and question-answer discussion with two distinguished Iranian physicians against Chemical Weapons. As part of a national physician tour, Dr. Shahriar Khateri and Dr. Mohammad Soroush, founders of The Society for Chemical Weapons Victims Support in Iran, brought a traveling exhibit to Hampshire College's Franklin Paterson Hall on Wednesday April 30th. Dr. Khateri presented his historical and scientific talk about chemical weapons, eventually including very touching details of their use and effects in Iran during the Iraq-Iran war. The exhibit will accompany all their scheduled public and medical talks in America. The goal is to help bridge the gap between Iran and the US and to offer the opportunity of a civilian diplomatic series. The same traveling exhibit has been shared in Hiroshima, Japan, and many other places to heighten awareness of the devastation of weapons of mass destruction and to remind everyone that we must work to abolish these weapons. There were also two Iranian survivors of chemical weapons present at the exhibit, as there will be during all the talks and stops in America. The Institute joined with national Physicians for Social Responsibility -- whose repreentative Jill Parillo introduced the speakers and moderated the discussion -- and the Campaign Against Sanctions and Military Intervention in Iran (CASMII), in co-sponsoring this event which was FREE and open to the public. On December 3rd, 2007 at Hampshire College, ISIS Institute sponsored a brilliant talk on "Iran's nuclear Program" by Dr. Fariborz (Hadi) Ghaemi. Remarkably, that very afternoon the Intelligence community had released the National Intelligence Estimate report which made headline news all over the world by discerning that Teheran had suspended the MILITARY nuclear program four years ago. Hadi referred to this report in his talk, having downloaded the first copy of it only two hours earlier, while visiting the Institute's offices. Born in Iran, Dr. Fariborz (Hadi) Ghaemi is an excellent speaker,scientist, and policy analyst. He is a human rights activist, a physicist --former professor-- and an independent film-maker. His talk reviewed what is known about the true state of Iran's nuclear technology, the likely effects of the Bush Administration's policy, and connections to the morality of modern science and politics. Hadi has served for many years as chief analyst on Human Rights Watch's Iran Desk. He has worked on many Iranian issues, and is a frequent commentator on rights, rights violations, and the politics of current Iranian policies. Hadi was the first to pinpoint how Iranian-Americans and exiles visiting Iran were being harassed by government officials there. Dr. Ghaemi is one of distinguished small group of Hampshire "physics major" graduates who worked both with Institute Chief Sientist, Herb Bernstein as well as Professor Eqbal Ahmad. Dr. Ghaemi spent many years in physics, pioneering what is now known as nanoscience. He earned the "best young researcher of the year" award for a paper presented in the major international physics conference in his field, then followed that continuous career through to a professorship in the City University of New York; all before winning a MacArthur foundation writing fellowship to transition back into his second specialty of middle east politics. He eventually became a Rockefeller Foundation consultant on Iran before joining Human Rights Watch. An enthusiastic open discussion followed the talk. Sponsored by the Hampshire College Seymour Melman Memorial lecture Fund, this event was free and open to the public. It was co-sponsored by as well by the Five College Peace & World Security studies program, in supplement to the Seymour Melman bequest to Hampshire college. 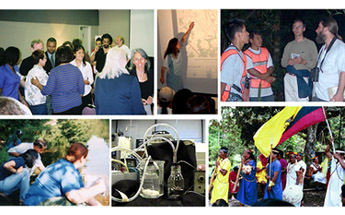 That recent grant is dedicated to promoting wider understanding of the current issues and risks posed by nuclear weapons; and their relation to science, technology and society studies, & especially the concerns of science, values and morality investigated by Institute with an integrated approach involving sciences, scientists, community members and social studies of the sciences. Last April, the Institute for Science & Interdisciplinary Studies co-sponsored a wonderful talk and discussion led by two famous fascinating war-tax resisters, Randy Kehler and Betsy Corner. This event was open to the public and attracted a "full house" on Wednesday April 25th, in the Small Sanctuary of the Jewish Community of Amherst, 742 Main Street. With co-sponsorship with the JCA's Spirituality and Social Change Interfaith Study Group this most informative and pertinent FIRST event in the series dedicated to the memory of Seymour Melman was a great success. 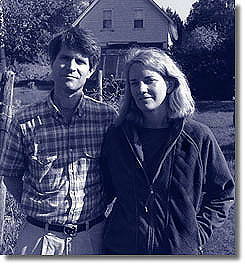 The husband and wife team of Kehler & Corner have always withheld their tax moneys from the US government, dedicating them instead to contributions for peaceful non-violent purposes. The movie "Act of Conscience" was made about the struggle to prevent their eviction and loss of their house, when the government went after this major asset, to pay back taxes. Through thirty-one years of marriage, including Randy's two incarcerations in both federal and state prisons, their efforts have been a beacon and model for non-violent approaches to bringing about peace. Daniel Ellsberg's biography cites their example as one motivation for him to release the Pentagon papers, a crucial act that hastened an end to the Vietnam War. The couple each presented their separate takes of "Spiritual Reflections on a Life of Social Action," connecting their political work with deeper moral values. They led a stimulating open discussion following their two talks; in the question and answer period they showed how each has spoken truth to power, opposing the violent use of human ingenuity, science and technology to produce rampant horror, violence & death. This was the first in a series of events commemorating the life of Seymour Melman, supported by a grant from his estate. Dr. Melman was a Columbia University engineering professor, anti-nuclear activist and expert on technical and economic conversion of war industry to peaceful uses. Scientists -- whether or not we know it, like it, or admit it -- are agents of social change. From the first posing of a question to the appearance of new technologies and policies in society, scientists shape every part of our world. ISIS institute's diverse projects address the powerful and complex ways, whether direct or subtle, in which the sciences affect society and vice versa. Through democratic coalitions of scientists, citizens, and science analysts, the Institute is pioneering a new kind of scientific inquiry for the 21st century. Changing our world with science demands, in turn, changing the sciences themselves to meet that awesome responsibility.